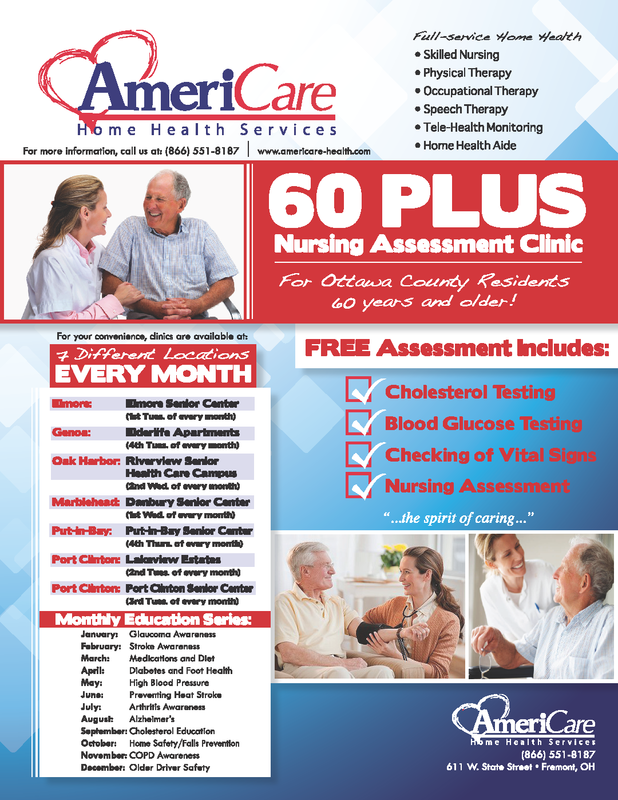 AmeriCare Home Health of Fremont and Ottawa County Commissioners have collaborated to provide beneficial health assessment and education services under a program known as the “60 Plus Program”. Funded through a grant program administered by the Ottawa County Senior Resource Department, the services are offered free of cost to all Ottawa County seniors aged sixty years and older. The 60 Plus Program features monthly assessment clinics run by registered nurses at seven designated sites in Ottawa County where seniors can get health assessments that include blood pressure checks, weight measurements; blood tests for anemia, blood sugar and cholesterol; health education including medication and nutrition counseling, and referrals to private physicians, if needed.